Symborg announced today it has taken an equity position in thinkbio, an Australian Agtech company founded in 2015 who specialise in endophytic bacteria products that are applied to agricultural crops for improved performance and sustainability. The companies will collaborate on microbial research and development and innovation (R&D+i) initiatives, sharing expertise to strengthen their collective biotechnology product solutions across global agricultural production markets. Symborg will contribute its experience in the development of new biotechnology products and mature international trading structure which includes subsidiaries in six key international agricultural markets (Mexico, Brazil, USA, Turkey, China, Spain) and a commercial presence in over 30 countries through its distribution network. thinkbio’s strength in working in partnership with other organisations is a hallmark of its success, and will leverage its position in Australia and proximity to Asia to drive market access for new and innovative products in the Asia Pacific region. thinkbio’s key innovation is trifixN®, a powerful nitrogen fixer patented by the company. This high concentration microbial inoculant includes C-Active Microbial Technology® for promoting plant growth. Its combination of microorganisms has a catalytic effect in fixing atmospheric nitrogen, increasing hormone and vitamin production and delivering better solubilisation and absorption of nutrients, thereby contributing to increasing plant production yield. For Lisa Anderson, Managing Director of thinkbio, the agreement is a great opportunity to deliver thinkbio’s technology to more farmers via a strong partnership with a world class leader in the biotechnology sector. “Our objective is to provide growers with innovative technologies that optimise fertiliser efficiency and yields while placing less stress on the environment. “This venture with Symborg will enable both organisations to collectively develop R&D expertise and leverage distribution networks around the world, adding value to crop production in different markets and environments. Symborg and thinkbio are in the process of formalising reciprocal distribution and product agreements, along with planning for collaborative R&D+i programs. Symborg is a leader in agricultural biotechnology research and development. Its innovative biological solutions maximise crop yields and protect the environment, addressing the challenge of sustainability. It was founded in 2009 by Jesús Juárez and Félix Fernández, both with extensive professional careers in the fields of research and agriculture. 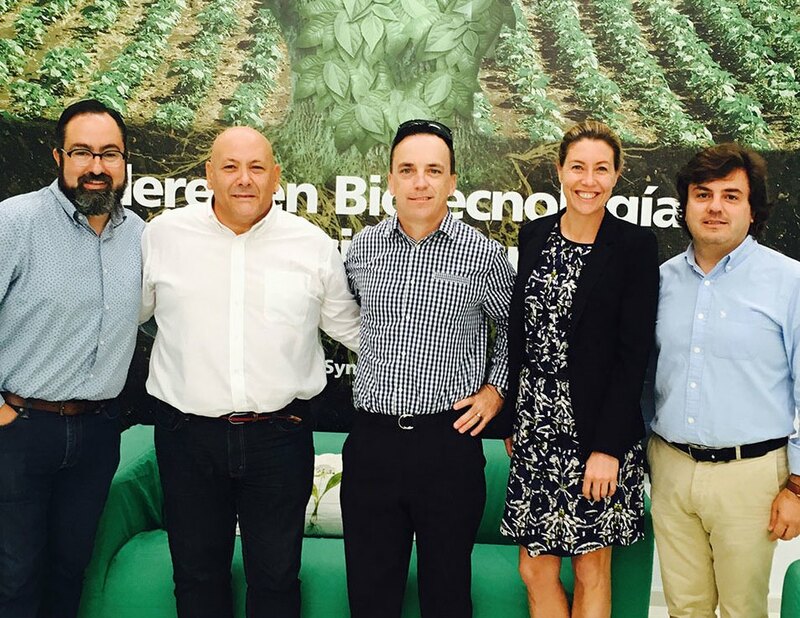 With subsidiaries in Europe, USA, LATAM and Asia and a technical sales team specialised in biotechnology, Symborg has become a leading company in Bioagro and its products are used in over 30 countries. thinkbio specialises in the development of endophytic bacterial inoculants for use in agriculture globally. A privately held Australian agricultural biotech company, thinkbio’s patented technology and core product, trifixN®, enables growers to optimise the efficiency of applied fertilizer, increase crops yields and save money, whilst placing less stress on the environment. It has customers in Australia and partners with other companies to distribute its products throughout the world. ® Registered trademark of thinkbio Pty Ltd.